*2017 graphic since they haven't uploaded a 2018 version yet. 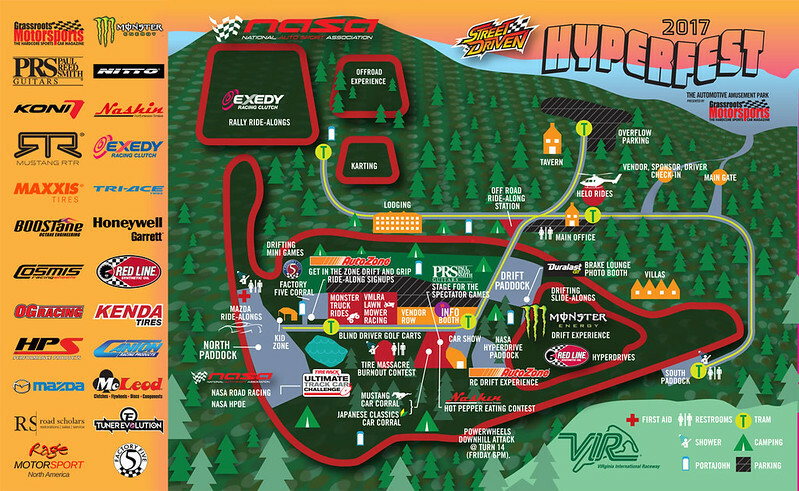 HyperFest will be taking place at the Virginia International Raceway again this year, the weekend of May 18th through the 20th. If you're into cars in any way there's something for you to enjoy at the event. 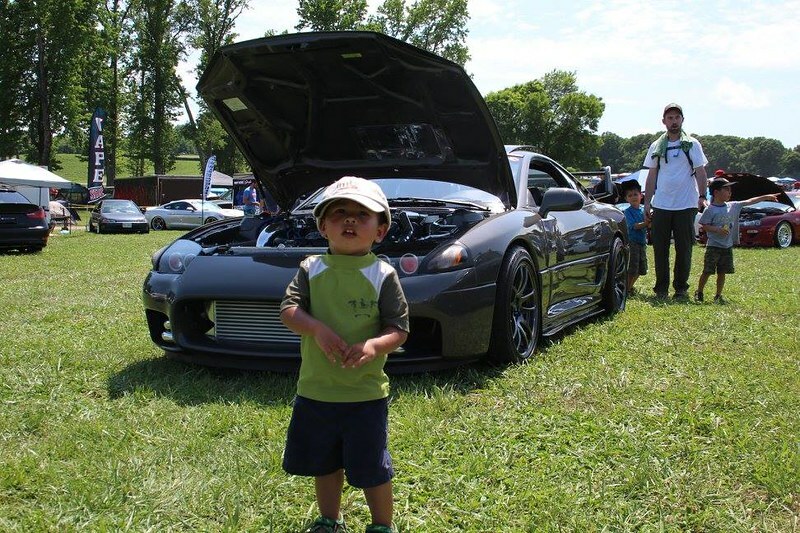 You'll see drifting, rally racing, NASA track racing, monster truck rides, car shows, off-road obstacle courses and trail rides, karting competitions, burn-out competitions, and more...they even had helicopter rides last year. More info at their website, hyper-fest.com. I've been two of the last three years with the kids and had a good time each trip. They offer free (I think) camping at the racetrack, but if you've got a family like me you'll probably want to camp elsewhere (gets a little wild after dark). We tacked the event on at the tail end of a 5-day camping trip with the kids last year (check it out here). The off-road stuff looks expensive, but the I4WDTA instructors with Path Less Traveled know what they're doing. May be a fun time for anyone interested. I'll probably find a free dirt road or two on the way to the event to explore with my crew. More info on the off-road offerings can be found at pltoffroad.com. Nice first gen TT Stealth. I see lots of work put into her. Nice GTO...love it. I would definitely love to add one to my Mitsubishi collection but I have no where to store it. I am going to need a bigger garage and some decent land property for all the Mitsus I want. That event definitely looks fun!